Home / E-cigarette / Mag Kit / Mag Mod / SMOK / TFV12 Prince tank / What Is The Reason Why the Mag Kit Is Fascinating? What Is The Reason Why the Mag Kit Is Fascinating? SMOK has been launching the Mag Kit for a while. It is deeply loved by vaper for its unique use experience. So today I will briefly introduce Mag Kit to you. Let's begin. It comes with a side-fire button that allows you to just use the index finger to manipulate it, so that's the point, and you feel like you're pressing the pistol trigger. SMOK also offers a variety of different styles of colors to choose from so that you can find the one that suits you best. The most interesting design is its battery button. When you press the button, the battery compartment slides out like a magazine. This is really super cool! Yes, although it's fun, it can't be played too many times. 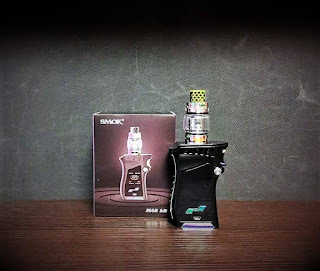 The Mag Kit comes with a TFV12 Prince tank. This is a product with a personality design, so you will feel that it is a natural pair with the mag kit. The TFV12 Prince tank comes with a cobra drip tip and has a bulb glass tube, so it is highly identifiable. What I have to say is that you can also purchase luminous drip tips separately to make your Mag Kit look more rumors. So, you now know why Mag Kit is so famous?